How many horses under YOUR Desktop? Discussion in 'The Tablet PC Life' started by thatcomicsguy, Jun 10, 2018. Well, I finally ran into trouble with the Law. Moore's Law, to be precise. Graphics slowed to a crawl, the fan spun up and seared my desk, processes slipped into pantomimes of slow motion horror like prehistoric megafawna dying in tar. All I was trying to do was paint! I pulled a "Three Finger Salute" (Ctrl Alt Del) and checked the system resource meter. It ground for a while in an agony of tormented digital thought before finally informing me that it was Maxed The Hell Out, thank-you very much. -A painting with real-time water colour effects and multiple layers was asking for about 4 gigs more than my sterling little computer had inside its aluminum brain pan. So, I'm retiring the really very awesome and dependable business class Dell Latitude e6410 and visited eBay to order another from the same line, but a couple of generations further along. The e6440, -which among its many notable features includes a 4th Generation Intel core i5 processor and the ability to pack in 16 Gb of RAM, effectively doubling my working capacity and speeding things up by about 20%, (if the CPU performance charts tell true). Not to mention, HD Graphics firmware is now capable of running a 4K monitor should I ever encounter such a beast on one of my dumb adventures. Plus the whole thing will fit into the same Dell docking station currently mounted to my drafting board. What are the rest of you gangsters running out there on your desks? I’ve been laptop only for a few years. Laptop+Cintiq while at work. I’m not getting much joy out of the surface book 2, so i’m Eyeballing the new 15.6 razor blade and a 16 inch Cintiq pro. Could run an oculus off it too. ...the "1070" in the name of course referring to GTX 1070 inside. 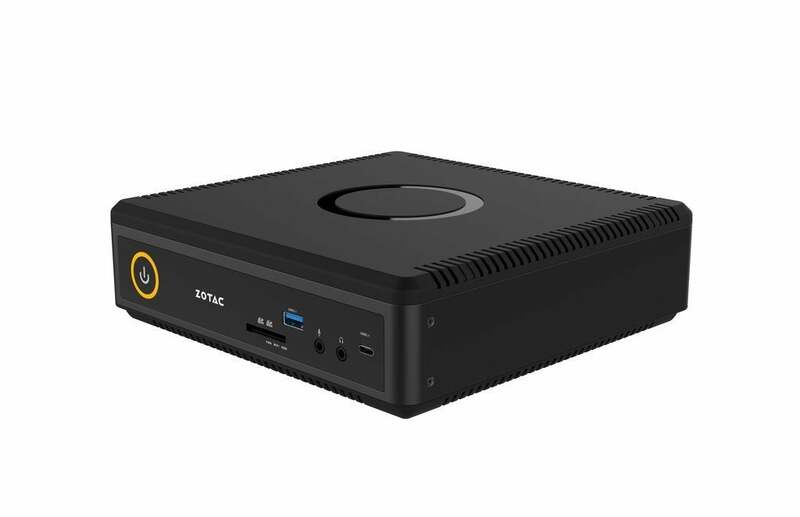 Solid little system which I pair with a 4K main monitor and a Cintiq 22HD. Though over the years, I progressively shifted my to working primarily on my VAIO Z Canvas (about 80-90% of work done on the tablet). Does anyone else find they are using their desktop Cintiq less-and-less? bloodycape, YVerloc, stoneseeker and 2 others like this. Though over the years, I progressively shifted my to working primarily on my VAIO Z Canvas (about 80-90% of work done on the tablet). I find it's about 50/50, and it would lean closer to 30/70 (70 being on the portable) if public spaces were open until 3AM. That Zotac EN1070K is really nice! I nearly went that way also, but with one of those early Intel "NUC" systems back when they were first hitting the market. They're so elegant and quiet. My desktop is a small form Coolermaster Elite 130 box and I built the insides myself. 16GB of Ram, a 512 SSD with a 4TB HDD for storage, a Core i7-4790k (devils canyon) and I have a Nvidia GTX 1080 (that is relativly new). Its currently pushing 3 monitors, my Cintiq 21ux, and two additional 29 inch 21:9 ratio widescreen monitors (a LG and AOC) stacked on top of each other. Its a really cool system....and I frequently entertain the idea of adding more monitors. Thinking about getting 2 more 21:9 monitors....but mounting them vertically on each side of the two monitors stacked on top of each other in the middle. Now all that being said.....I hardly use the damn thing. I use my Mobile Studio Pro/Galaxy Book 10.6/Surface Pro 3/Ipad Pro.....like 95% of the time for everything. My desktop rarely every gets turned on. Usually I'm just too tired when I get to it...and I get so little work done at home. Like I could get more artwork or writing done in one hour at a Starbucks....then a whole night at home. It also doesn't help that my desktop is in desperate need of updates that I'm too lazy to even bother doing. Its running Windows 7 still....need to really update it to Win 10 (Win 7 + GTX 1080 + Cintiq 21ux = not a good combination). Both my SSD and HDD are a complete mess of files and crap....even though I could update....I rather start from scratch with a fully clean install....but getting my outlook Email Dat files in order....and everything else.....I"m putting it off for as long as I can. Also got a few cooling problems.....the i7-4790K is still running on its included heatsink....it really needs watercooling....and I'm somewhat concerned my PSU is gonna die soon....hearing concerning sounds here and there from my little box. As much as I love the small form factor desktop.......I'm considering getting a larger more traditional tower since its just a hell of alot easier to operate on it with more room. It doesn't help that the Elite 130 Box I have has the PSU above the motherboard....so really doing anything is annoying awkward since you pretty much have to remove the PSU....and undo all the wiring.....so.....yeah....updating my box is not a day I look forward to. I must say though....I am also considering a smaller form factor desktop. 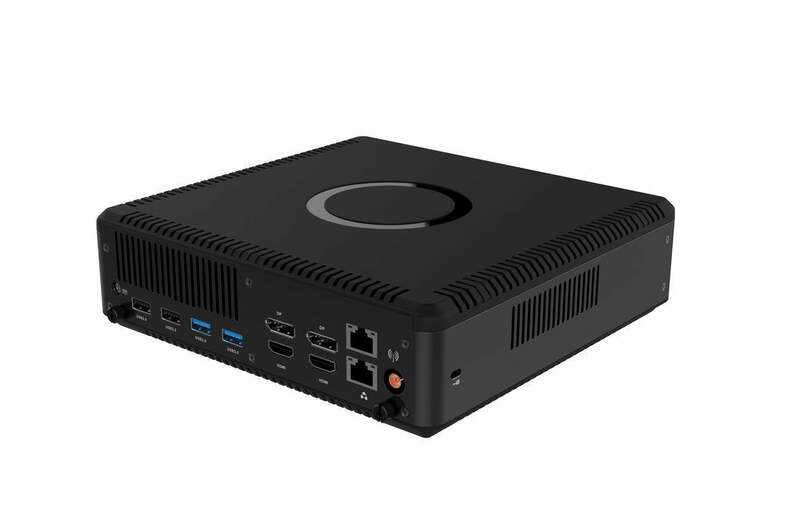 Not so much the Zotec....but rather the Intel NUC Hades Canyon....Looks sufficiently powerful, can push up to 6 monitors, and I love the form factor, and with the USBC/Thunderbolt ports, I can still get use out of my GTX 1080 if the need arises down the line. So I guess cafes are the new studios eh? For me, I find it ironic that we have these powerhouse desktops that most people would associate with "serious work" that end up being used as entertainment machines...and then we have these tablets, which most people think of as "media consumption" devices, that we use almost exclusively for work! thatcomicsguy and darkmagistric like this. In the last year or so I have been working in After Effects a lot more, almost 50% of my year's work (the rest being environment design/painting for the most part)... So I have actually had the opposite experience from @Marty , where slowly I have been more and more desk bound due to working with hundreds of 8K+ assets in 4K scenes. This also led me to build a powerful desktop, and purchase everything I needed for a home studio to accompany it. i7-7700K, GTX1080, 32gigs of RAM, (2) 1TB SSDs... 34" ultrawide monitor, 22HDt. If it weren't for After Effects I would have opted for something less powerful and been totally fine. I would probably work at coffee shops a lot more like I used to too! oh well, with baby incoming any day, it will be convenient for me to be at home so much anyways. darkmagistric and thatcomicsguy like this. If every other profession can sublet a Starbucks table into a makeshift office or meeting place, why can't artists too? I've been doing the coffee house artist thing for about a decade now. I could probably work just as well with a proper Studio.....its just for me home has too many distractions. There's always dishes that need to cleaned, cloths that need to be laundered, closets that need to be sorted, Pets that want to be played with, yardwork that needs to get done.....etc....that and having your TV on hand....you put on a movie....expecting it play in the background while you draw....but then you focus too much on the movie....and get next to nothing done. And then when it gets late and you get tired.....with your Bed or Couch so so close....its easy to tell yourself.....yeah....I can lie down for 5 minutes......you close your eyes....and then you wake up 5 hours later. But if I had a Studio away from home....that would probabbly suit me quite well. But its just cheaper to go to a Starbucks and get a cup of coffee. And I will say....there Wi-fi speeds are pretty damn fast. Starlight5, Azzart and thatcomicsguy like this. oh well, with baby incoming any day, it will be convenient for me to be at home so much anyways. The problem will be finding the time to stay on the desk then. stoneseeker and thatcomicsguy like this. I find it takes careful sculpting of the psychological environment at home to stay focused. Currently, with my new setup, rather than being tucked away in a private study, I have my drafting board right out in the living room where everybody is able to see what I'm up to. Keeps me honest. When I don't want to interact with the goings on, a big pair of headphones on my head is enough to send the signal, "Mark is not available."